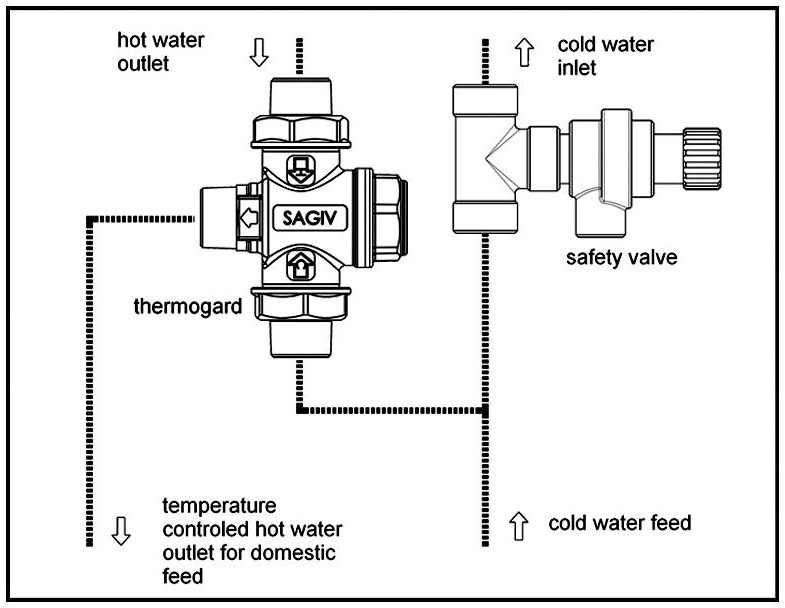 Sagiv ThermoWise is an innovative thermostatic diverting valve that maximizes the energy savings and minimizes the energy cost, in a combined water heating system, typically for a Solar system that is backed-up by a Gas water heater. 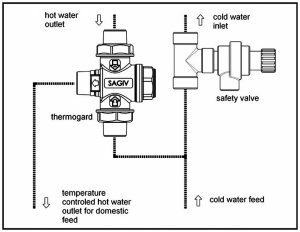 When such a combined system is used Sagiv ThermoWise controls the Solar system hot water outlets as follow: When the temperature is hot enough (pre-defined) the flow is diverted to the home hot water piping system. 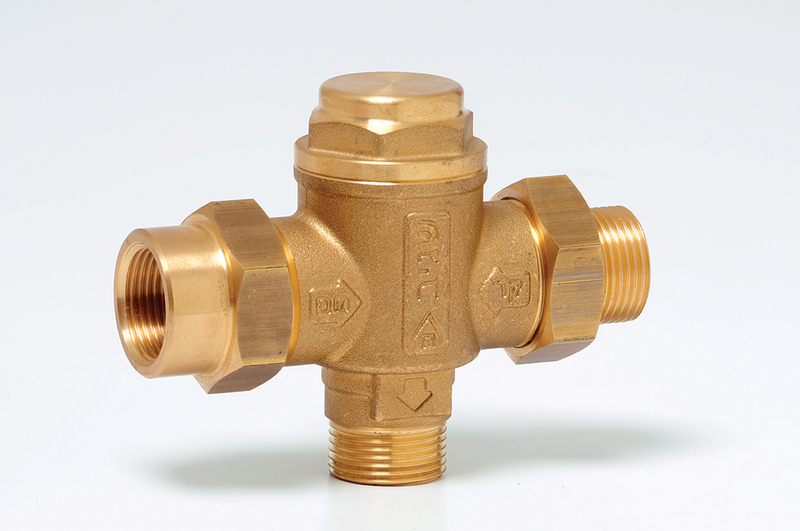 However, when the temperature drops below the pre-defined temperature, the flow is diverted to the Gas heater. In such automatic control, the Solar energy use is maximized and the Gas heater is only used when necessary.